You probably know about the Japan Rail Pass, which allows limited use of the bullet train (and others) to get around during your holidays. You may also have read our article on the Budget Rail Pass, which is a lot cheaper and more flexible (within given dates). In other news, there is a very cheap alternative for those willing to travel on night buses. The company is called Willer Express. 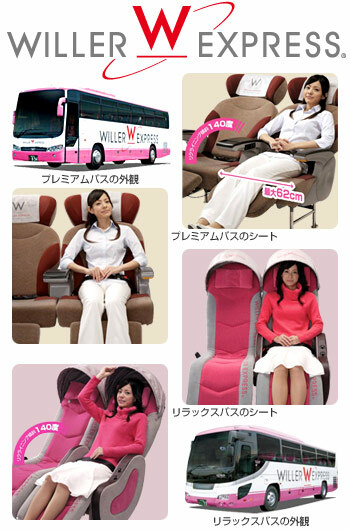 Here's the site to purchase the bus pass (outside Japan only). This pass allows you up to 2 bus journeys per day for 3, 4 or 5 days within a two month period (they do NOT have to be used consecutively). The map to the right shows the available routes and prices, which currently stand at 10,000yen for the 3-day options, 12,000 for 4 days and 14,000 for 5 days. This is great value when you compare to the cost of the rail pass - it works out around a third of the cost on long trips, and can be used over a much longer period (2 months as opposed to 7 days). In addition, you'll save on accommodation by sleeping on the bus. Win:win. You can only buy this ticket outside of Japan (although you can be resident here and use it). Some peak seasons aren't covered by the pass, such as Golden Week, New Year and various other national holidays. You have to book each journey individually to get a seat (not really a catch, but good to know). You can do this online up to an hour beforehand. You have to sleep on a bus. If you have a problem with that, or very long road journeys, this may not be for you. This is another useful post. 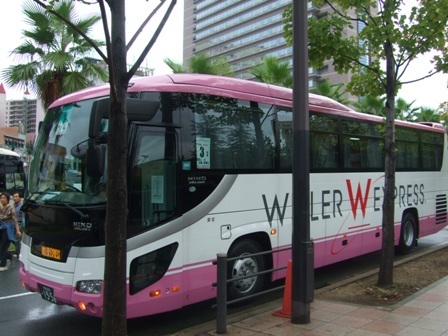 Even for those living in Japan this bus company offers excellent rates for travel. You can book online in English and pay at any convenient store.